That spooky feeling you got when HG Wells’s time traveler disembarks into the silent garden of the Sphinx at twilight? This is a whole book of that. It’s also an antiquarian mystery, an essay on the implications of deep time, a theological fantasia, and a sublimated love story. Set aside a winter evening. Brew some tea. Banish the outside world, and read this in a single sitting. Also, be sure to read this one rather than his later rewrite “The City and the Stars.” Deep-future always works better as poetry, and you can’t clutter up poetry with too many details, as the later version does. 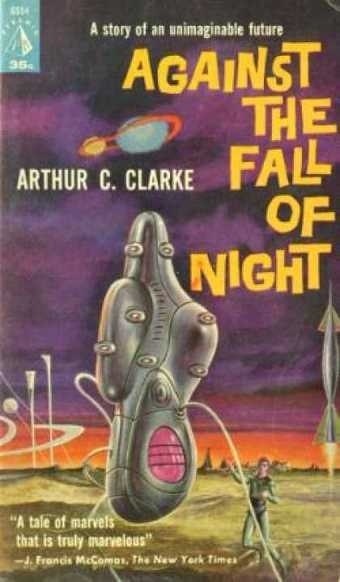 Posted in Uncategorized and tagged Arthur C Clarke, science fiction, spooky on March 5, 2012 by evanleatherwood.